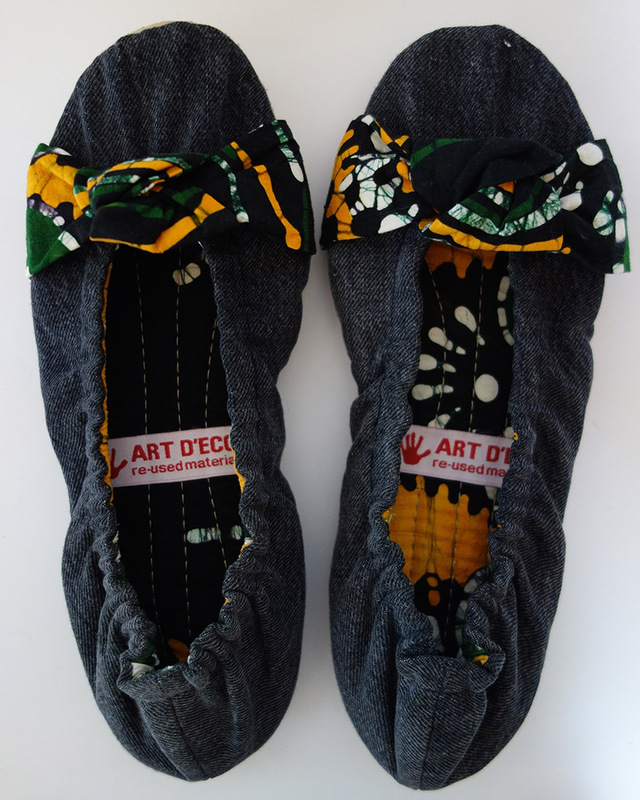 These ecoballerinas are made out of used denim and vintage fabric. Unique piece. This light shoe is an affordable and low tech’ ballerina. It is good for your feet and the planet !!! 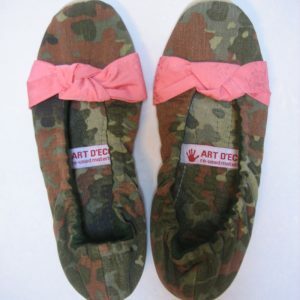 The ecoballerinas are made out of old clothes, curtains, kimonos, army jackets, sweaters, saris and jeans. 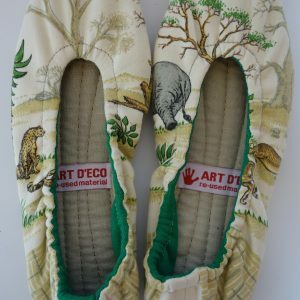 They are hand crafted with love and each pair is unique. They keep your feet healthy, as they are fitted to the orthopedic shape of the feet. The sole in natural rubber makes them flexible, very comfortable and light. No chemical or polluting process is involved in the fabrication. The crepes soles are natural rubber , or “crepe” which is obtained from the latex of a tree the Hevea Brasiliensis. There are no chemicals or dyes added, it is ecological and 100% recyclable. It has good mechanical properties , resistance, strength, high elasticity and resistance to water. 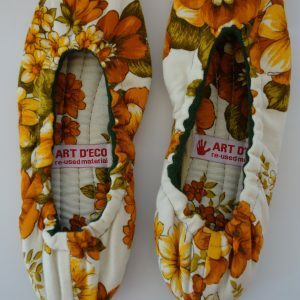 This is the only part of the shoe that is not recycled but biodegradable.